Board of Intermediate and Secondary Education Bahawalpur has its own schedule to hold matric class part 2 annual exams in the month of March. BISE Bahawalpur checks the papers of matric class and starts compilation of 10th class annual exams in the government and private schools and educational institutes. Bahawalpur Board prepares 10th class result for the students in short time of three or four months and the students can watch the latest position of their BISE Bahawalpur board SSC-II result. BISE Bahawalpur Board 10th class result is uploaded on this page for the facility of the students. 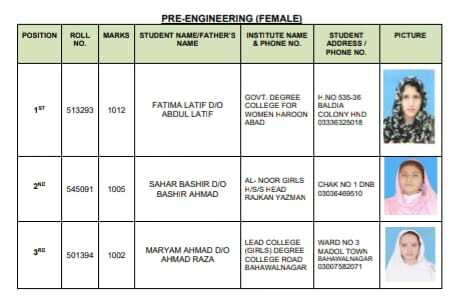 BISE Bahawalpur matric part 2 result is provided to the students with relevant information and for the facility of the students. Bahawalpur Board matric class part 2 result is announced in the main auditorium of the board and the students have to check matric class result.